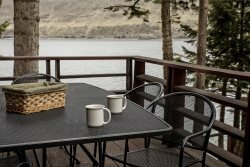 Large family rentals | Wallowa Lake | 3 - 3+ bedroom homes | Wallowa Lake Vacation Rental cabins and homes. Homes and cabins that offer 3 bedrooms (3) and/or open sleeping (+). These homes have private bedrooms which may have a door to close or a curtain for privacy. Open sleeping offers no privacy.